Alex has been featured in, or written for, a number of publications as seen below. Contact her for nutrition articles or blog posts. 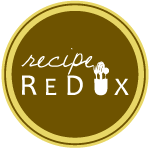 Also, check out her blog, RDelicious, to follow a Registered Dietitian on her delicious adventures. The 5 Cent Cigar- URI Nutrition Club Recognizes Dietitians’ Work Through Writing, March 2008**May not be available for viewing online, printed copies are available for viewing in-person upon request.